A gang is an organized group of three or more, that as one of its main purposes or main activities the facilitation or commission of one or more serious offences, that, if committed, would likely result in the direct or indirect receipt of a material benefit, including a financial benefit, by the group or by any one of the persons who constitute the group. In 1980, law enforcement listed just a handful of gangs who controlled the criminal markets in British Columbia. Today, it’s estimated that 188 criminal groups are vying for a share of the province’s illicit markets. In some respects, organized crime operates like a legitimate economy where decisions about production and distribution are based on supply and demand. But it gets messy when price and control become part of the equation. Unlike a legitimate market economy where the government may intervene for the public good, organized crime groups are self-regulating and driven by profit. Their interventionist tactics involve intimidation, torture and murder. The Combined Forces Special Enforcement Unit of British Columbia is your provincial anti-gang unit. It is mandated to take on organized crime and gang violence in British Columbia. Our number one priority is to ensure public safety through well-structured strategies that focus on the disruption of gang and organized crime violence. British Columbia has a unique and changing gang landscape. Gangs, based strictly on ethnicity, are no longer the norm. Even outlaw motorcycle gangs are becoming reluctant to self-identify for fear of unwanted police attention. What we’re seeing now are new gang alliances and new power blocks forming in order to capture a monopoly on the illicit market. They are enterprise driven so much so that former enemies now work together and mid-level gangs have grown in sophistication and have spread beyond BC’s borders relocating to other provinces where they are aligning more crime groups to commit more violent acts. 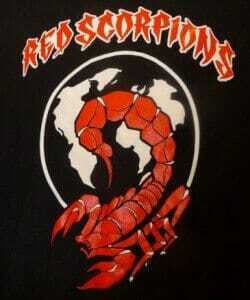 A violent drug-trafficking criminal organization, the Red Scorpions gang was formed about 2000, allegedly by Quang Vinh Le while he was incarcerated in Willingdon Youth Detention Centre. The Bacon brothers of Abbotsford rose to prominence in this gang with the eldest, Jonathan — killed this weekend in Kelowna — being identified as its leader. Jonathan was awaiting trial for drugs and weapons offences. 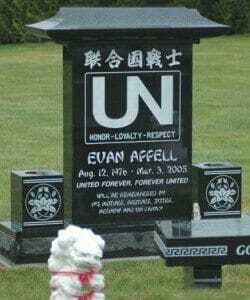 In 2006, he was shot several times while in his parents’ driveway. The United Nations is another multi-ethnic gang. Police believe it was founded in the late 1990s by Clay Roueche, 35, of Chilliwack from among his high school friends. It developed a rigid organizational structure like the Hells Angels. 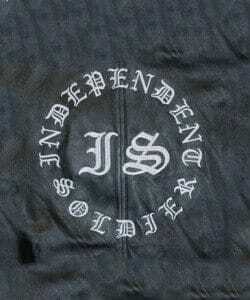 The gang has also made enemies of the Hells Angels and Independent Soldiers. Roueche is serving a 30-year sentence in the United States for smuggling marijuana and cocaine across the border. This the newest of the major street gangs, formed about six years ago from mostly young Indo-Canadian males involved in the drug trade. Its roots go back to the notorious Bindy Johal, who was killed on the dance floor of a Vancouver nightclub in 1998. The gang has spread from Vancouver, with members operating in Kelowna and Calgary. 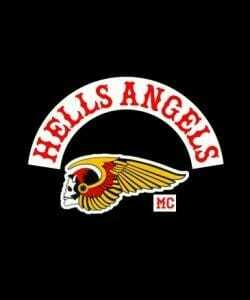 It is believed to have developed links with the Hells Angels. While the likes of the Red Scorpions, the Independent Soldiers and the UN are referred to as mid-level players, police consider the Hells Angels a top-echelon criminal organization, seen in the same light as the Mafia and the Big Circle gang. The organization today has hundreds of chapters in more than 20 countries. It has a number of established clubs in the Lower Mainland and a number of puppet clubs such as the Prince George-based Renegades. However, new biker clubs linked to the Hells Angels have been sprouting up all over the province recently, from Campbell River to Fort St. John, as the gang seeks to maintain its status. Criminal groups at all levels of sophistication may use violence to further their activities even though the reason for its use may be different. An organized group of three or more, that as one of its main purposes or main activities the facilitation or commission of one or more serious offences, that, if committed, would likely result in the direct or indirect receipt of a material benefit, including a financial benefit, by the group or by any one of the persons who constitute the group. However, with globalization and increasingly multi-cultural communities, organized crime is now best understood as small, loosely structured and often multi-ethnic networks that adapt quickly to any pressures or changes in the criminal or legitimate marketplaces. These networks re-group, merge or disband on a regular basis due to law enforcement intervention, competition, and other pressures within the marketplace. The total number of reported groups in Canada has fluctuated between approximately 600 to well over 900 within the past five years. This fluctuation is largely reflective of improved reporting processes and a shift in collecting information on organized crime in Canada. Violence can be used as an offensive or defensive tactic and it can be premeditated or spontaneous, publicly undertaken or carried out covertly. More sophisticated groups at times hire subordinate criminal groups or individuals to undertake violent acts on their behalf, while lower-level groups, such as some street gangs, have been known to engage directly in public displays of aggression and violence. Violence within organized crime groups is generally used to maintain internal discipline. Violence between criminal groups may occur when they compete over territory or a particular illicit commodity, or retaliate against rivals. This violence can be undertaken in public areas, posing a threat to the public. When individuals outside of organized crime groups are targeted for violence or intimidation it is typically to further the interests of a criminal group. Some criminal groups operate businesses that are primarily intended to facilitate criminal activities. Others offer legitimate trade but also facilitate illicit enterprise through, for example, trafficking drugs, smuggling contraband or laundering funds. Criminals may own or operate these businesses openly, conceal their dealings through nominees, or collude with, coerce, or deceive the owners or employees. Corruption or coercion can be used to situate members of the criminal group within legitimate business and then use the business for illicit purposes. Legitimate businesses can also enable criminal groups to distance themselves from criminal activities and provide an appearance of legitimacy. Organized crime and gang activity today transcends borders and crosses over into many law enforcement and government jurisdictions. No single organization involved in the fight against organized crime is able to tackle the activities of organized criminal groups on its own. Integrated intelligence units, response units, and combined enforcement units such as CFSEU-BC continue to play a vital role on local, regional, provincial-territorial, national and international levels. For example, CFSEU-BC brings together 14 law enforcement agencies integrated under a single command structure. The National and Provincial Targeting Priority programs (NTEP and PTEP) bring together senior managers from across the country to assess, and set priorities in the fight against organized crime and gangs.